Welcome back to Wishlist Wednesday! Once again, I apologize for skipping this segment last week, but I just needed a bit of time off to get back into the swing of things. This week, we’re talking brows, another trend courtesy of the Kardashians, similar to contouring which I touched on last time. #BrowsOnFleek was started by Kim and the internet and all social media just ran with it, especially the beauty community. Many makeup artists and beauty bloggers alike have sought to replicate sculpted and bold brows and as a result the industry has brought forth products for every price point to make sure your brow game is strong. There’s no doubt that brows are an essential facial feature, despite seeming almost physically useless. Nonetheless, we’ve all seen those scary pictures of celebrities with their brows Photoshopped off, and realized just how much power eyebrows hold. They are critical for framing the face and when properly groomed, can make a huge difference. So without further ado, here’s five products to keep your brows on point. 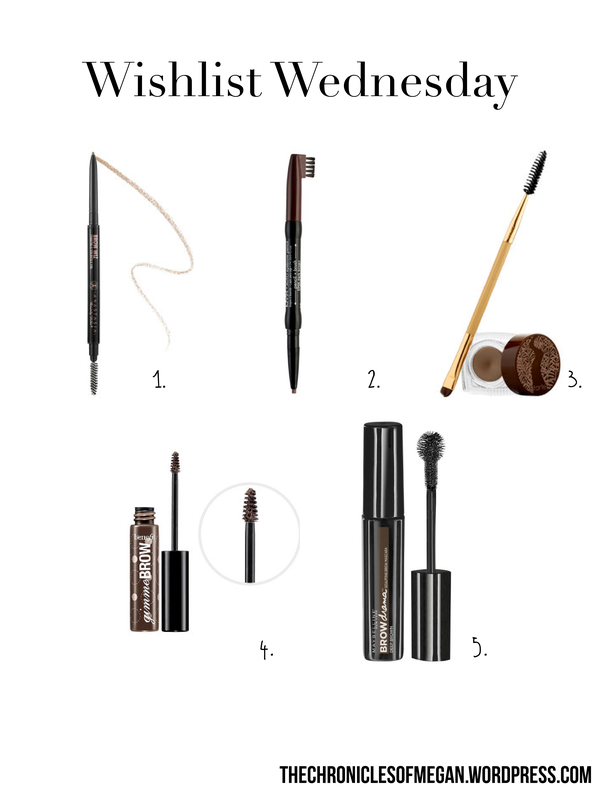 Before we get started, in case you’re a beginner, there are a few different formulas of brow product. Here’s my best approximations at describing each of these types of products, but take them as blanket statements and do a bit more research on specific brands and such to make sure a product is suitable for you. Pencils– Brow pencils are pretty self-explanatory. They can come in either a traditional pencil form, which needs to be sharpened, or a twist up package. Although they look like eyeliners, they are not the same thing! Brow pencils have a waxier formula so that the pigment does not smudge off the brow, and more forgiving with pigment so that you do not look like you filled in your brows with straight up marker. They also usually have a different shape to the point of the pencil versus a regular eyeliner. Some are smaller with a flat end and are more refined to create those little hairlike strokes, or others are more slanted to ergonomically fill in the natural shape of your brow with ease, like the Sleek pencil. Pencils are ideal for sparse brows that want to appear like there are more “hairs” within them and leave a matte to “satin” finish. Powders– Brow powders are very similar to eyeshadows, and some people even use eyeshadows to fill in their own brows. I wouldn’t say that there is much of a key difference in formulation between eyeshadow and brow powder, except that with brow powders, you have a guaranteed matte finish and ashy pigment that won’t be too overwhelming. Powders usually come in a kit, though, along with a wax (see below). However, as long as you make sure that the finish is matte and you use a light so you do not create an unnatural looking brow, you can easily substitute an eyeshadow for brow powder. Powders are ideal for light brows that need to intensify their color and they leave a matte finish. Pomades– Brow pomades are a whipped product that contains both strong pigment and wax. Think cream eyeshadow for your brows, but once again not quite the same thing. This formula is nice if you already have dark brows, but want to shape them up and add to sparse areas. The finish usually has a slight sheen to it to give you that slightly glossy effect. Waxes– Brow waxes are best for shaping brows and taming unruly hairs. They can come colored or uncolored. Clear brow waxes are often used with a brow powder while colored waxes are usually a one-step product that combines both the pigment and wax. Wax puts stray hairs in their place, so if this is something you struggle with, this formula is for you! The finish is satiny, so not quite matte but also not fully glossy. I currently use a wax product from Sonia Kashuk and if you would like an idea of how I use it, check out my Spring Makeup Tutorial. Gel– Brow gels are the mascara equivalent of brow products. They also come in both colored and uncolored versions. You can use clear brow gel (or even clear mascara) to set the brow hairs in place usually after using a brow pencil. Tinted brow gel is another product that takes care of brows in a single step. They set hairs in place, add color, and some even have fibers to add more “hair” to the brow. Alright, now that we’ve taken care of that, here’s the products I’ve had my eye on. 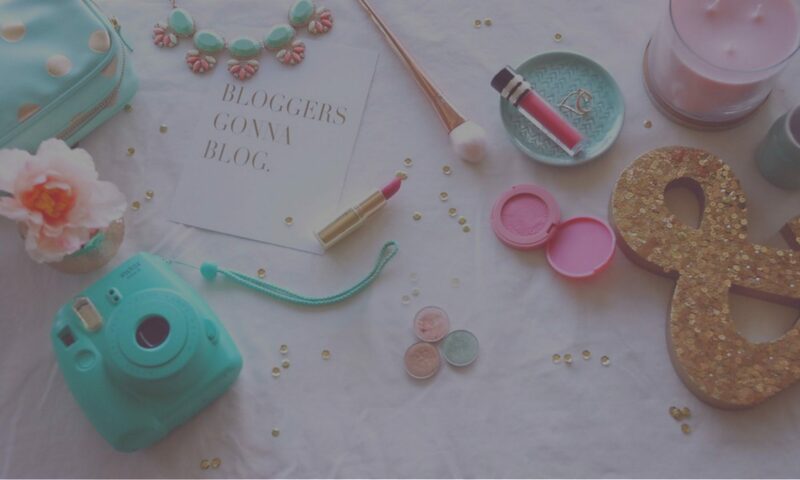 Anastasia Beverly Hills Brow Wiz– Much like their contour kit, I would claim this is the original product that made this trend widely available. Since its release, many other companies have modeled their own brow pencils after this, including Sephora. This pencil has been raved about in the beauty community for it’s fine and precise tip and large color selection. NYX Auto Eyebrow Pencil– This is the closest drugstore equivalent of the Brow Wiz that I could find. The price is much more reasonable at $4.50 (compared to $21) but the color selection is much smaller, with a measly three options. The tip is also a bit wider than the Anastasia one but still a similar shape, as opposed to the Sleek pencil that has a large slanted tip to square off and shape the brow efficiently. Tarte Amazonian Clay Waterproof Brow Mousse– This is a pomade like formula with a heavy duty staying power. There are only a handful of colors in the range, but they are very unique and not super limited to simply “dark, medium, light”. Although it costs $28, there seems like you can get several uses out of it and the product also comes with a double ended brush and spoolie. Benefit Give Me Brow– This is the original tinted brow gel with fibers that got the whole beauty community hyped up. The teeny tiny conical shaped wand is ideal for getting a precise shape to the brow. The color selection is very limited however, and only comes in light and medium to dark shades. Maybelline Eyestudio Brow Drama Sculpting Brow Mascara– This seems to be the drugstore version of the Benefit Give Me Brow, but not quite an exact dupe. The wand is an odd shape with a weird ball at the end and is much longer than the Give Me Brow. To be honest, it seems a bit gimmicky and I’m not sure how the shape efficiently enhances and shapes the brow, but it’s worth a try at $7 compared to Benefit’s $24. Also, the color selection is much larger than Benefit’s. Alrighty, I hope you enjoyed this segment on brows and found some #browspiration today. If you would like to try any of these drugstore products, don’t forget to click here and receive Free Shipping from Target on orders over $25! Have a wonderful week and I’ll catch you Sunday with a regular beauty post!